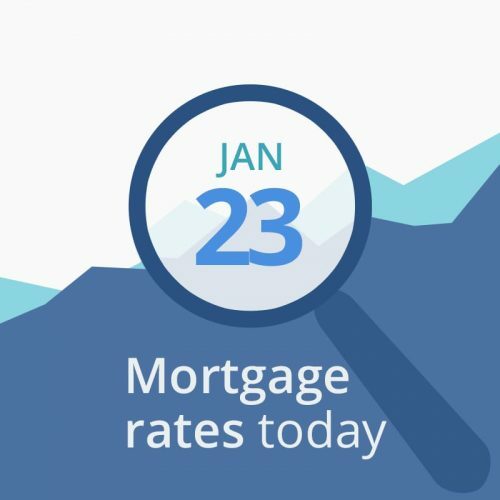 Average mortgage rates today are slightly higher than they were yesterday. With no scheduled economic reports today, we’ll have to keep an eye on the financial data below and follow global politics and the craziness in Washington to see which way mortgage rates are likely to move. Experts at industry site Mortgage News Daily believe that markets are experiencing a correction and that rising stock prices are pushing mortgage interest rates overall. Whether this trend is short-lived remains to be seen. Markets continue to be unstable as long as the US government remains in shutdown mode and consumers anticipate a recession. Today’s financial data are neutral or bad mortgage rates. Investors and borrowers have little to go on with the government shutdown and no economic reporting. But today’s stock market increases, oil prices rising and Treasury yield increases caused a small rise in rates since yesterday morning. Whether this is a long-term trend or just a blip is something even highly-trained economists don’t know. As a mortgage borrower, you have to decide how much risk you can take. I believe that until the president and Congress resolve the shutdown, the prospect of a recession is very real. And in that case, rates will likely drop. So if I were closing soon, I’d lock. But otherwise, I would float and take my chances.